Half of the 700 million people in extreme poverty live in sub-Saharan Africa. 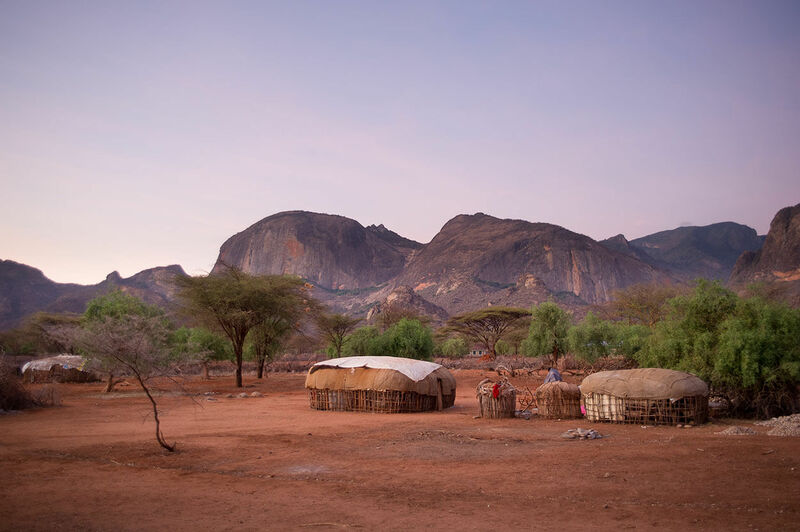 BOMA works in the remote rural drylands of Africa, an area which comprises 40% of the continent and is home to more than 425 million people. In the rural areas of Ethiopia, Kenya, Somalia, Uganda and Tanzania alone, 13,335,811 women and children live in extreme poverty. In one of the harshest environments on earth, with one of the highest extreme poverty rates, infrastructure is minimal, with few paved roads and no formal banks or other institutions. For some the distance to the nearest health clinic is as much as 300 kilometers. There are no large employers, and residents lack the education and skills required to seek jobs in other parts of the country. Recurring drought—the consequence of climate change—has devastated grazing lands, livestock and livelihoods, and driven pastoralist families deeper into poverty. While the men travel for weeks at a time with the livestock herds, looking for scarce water and grazing terrain, the women and children are left alone in the villages without a stable source of food or income. For those who do find work the average income is less than one dollar a day. of our model into national social protection programs by the Government of Kenya.